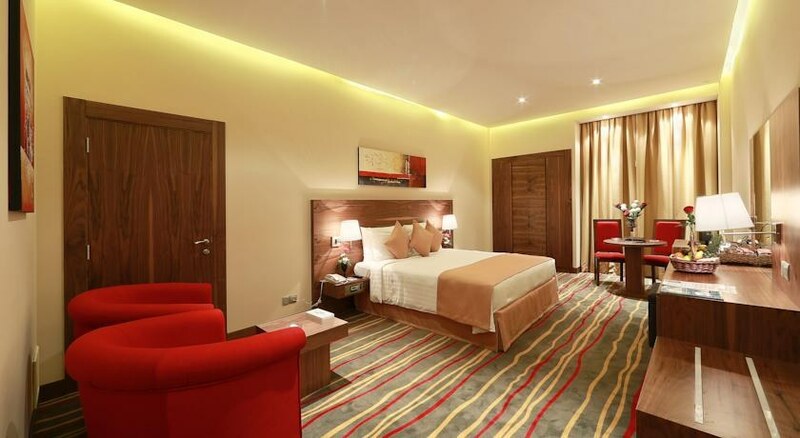 This modern 10-storey hotel is centrally located on the Al Makoum Road in Deira- not far from the shopping centre of Dubai. It is a 10-minute drive to the international airport. The industrial and trade centre- the economic ministry- the city authorities- the clock tower- the Al Ghurair shopping mall- the Gold Souk- the golf and yacht club as well as the international exhibition centre are all to be found nearby.The 10-storey air-conditioned hotel offers a total of 88 rooms. The reception includes a hotel safe- a currency exchange facility and a lift. A selection of Greek cuisine may be enjoyed at Zorba- Lebanese food may be sampled at Escoba- drinks are on offer in the Velvet Lounge- whilst Swiss and French cuisine is served in Entrecote and a range of appetisers- tea- coffee and water pipes are to be enjoyed in the city cafe. 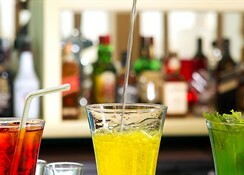 The hotel endeavours to fulfil all of guests' desires. Conference facilities with the latest technological standards are to be found at this hotel. Room and laundry services as well as a car park also feature here. A hairdressing salon and a nightclub also count among the hotel facilities.Each of the comfortable- very elegant- spacious rooms comes centrally regulated air conditioning- a bathroom with hairdryer- a TV- a small fridge and ironing equipment.There is a swimming pool in the outdoor complex. 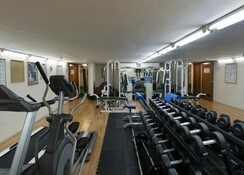 The fully equipped in-house gym may be taken advantage of. 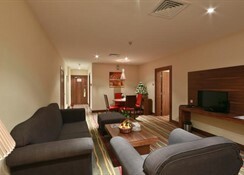 The 10-storey air-conditioned hotel offers a total of 88 rooms. The reception includes a hotel safe, a currency exchange facility and a lift. A selection of Greek cuisine may be enjoyed at Zorba, Lebanese food may be sampled at Escoba, drinks are on offer in the Velvet Lounge, whilst Swiss and French cuisine is served in Entrecote and a range of appetisers, tea, coffee and water pipes are to be enjoyed in the city cafe. 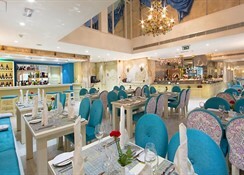 The hotel endeavours to fulfil all of guests' desires. 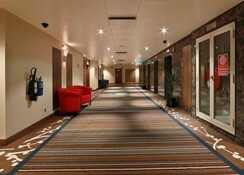 Conference facilities with the latest technological standards are to be found at this hotel. Room and laundry services as well as a car park also feature here. A hairdressing salon and a nightclub also count among the hotel facilities. There's a casual restaurant serving Italian cuisine, and a chic cigar lounge with live music, plus a restaurant/nightclub with Lebanese fare. Additional amenities include a gym, as well as an outdoor rooftop pool and a bar with city views. An airport shuttle is provided at no charge.